What’s the advantage of pedestrian gate for entrance management? 1. Access control management: The pedestrian gate combine with access control system, realize access control management. 3. 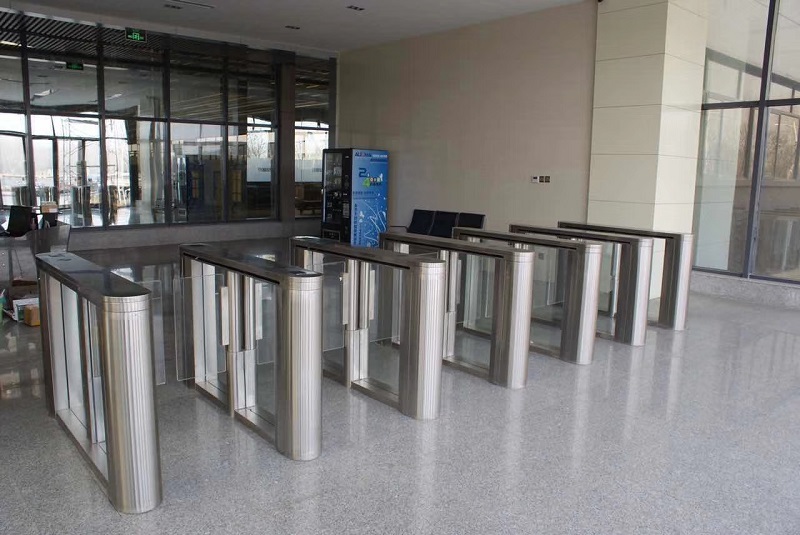 Attendance management: The pedestrian gate combine with attendance system, it can help enterprises and group buildings to effectively manage employee attendance, realize access control, and improve the effective management of entry and exit attendance. 4. Member management: The pedestrian gate combine member management system, it can help the effective management of members and non-members in restaurants, gyms and other occasions. 5. Ticketing function: The pedestrian gate combine ticketing system, it can improve the efficiency of ticket checking in traffic and other places, help museums, exhibition halls, memorials and other occasions to distinguish between true and false tickets and improve the efficiency of admission. In a word, the installation of gates can improve the management level of entrances and exits in office buildings, create intelligent and self-service personnel experience, improve the overall image of the use of gates, and combine software systems to achieve multiple functions and improve management efficiency in all occasions. Advantage of the pedestrian gate for entrance management.